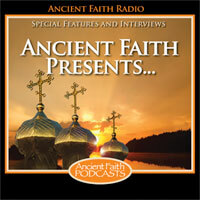 His Grace Bishop Basil of the Antiochian Diocese of Wichita and Mid America joins John Maddex to talk about Fr. Nicola Yanney. This fall marks the 100th anniversary of his repose which will be commemorated at the church he founded - St. George Antiochian Orthodox Church in Kearney, NE. Fr. Nicola was the first priest ordained by then Bishop and now Saint Raphael of Brooklyn. Learn more about the rugged life of a pioneer who baptized more than 1,000 souls during his priesthood. You'll also hear about the pilgrimage planned in October which is free of charge!